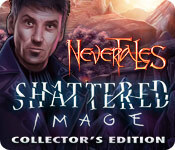 Nevertales: Shattered Image Collector's Edition is rated 4.1 out of 5 by 81. Rated 5 out of 5 by Jasheela from Another Great Nevertales I personally am a fan of this series so I'm not surprised I loved this one. It's not a new game, but it is one I hadn't played before. The storyline is very well put together, everything you do makes sense with the big picture of the story - no weird disjointed side excursions down some dev's rabbit hole :# The graphics are awesome, nice and bright and easy to look at. I can't say much about the music as I almost always have that turned way down, to almost off. But the voice overs are pretty good and the cut scenes seem to follow whatever your custom sound settings are since I wasn't blasted out by a cut scene even once during the game. As with the other Nevertales games I've played, this is not a difficult game, though turning up the difficulty would present more of a challenge I suspect. But that's ok with me, I've said it before and I'm saying it again...in my world games are supposed to be entertaining not irritating, so not too difficult really isn't a drawback for me. The mini games are plentiful ranging from a few more complex ones to the quickies as part of opening a door or in an HO scene. There are morphing objects in every HO scene as well as collectibles in every scene. In the Bonus Content you build a jigsaw once you have the collectible from each scene #and yes, it allows you to go back and get them if you missed any). This leads to a treasure hunt where you revisit each scene from the game and find the indicated item - some are quite simple, but several of them are hidden pretty well even in plain sight. After that is done, you open up a 100 object HO game that you can replay as often as you'd like and you get scored. There is no option to replay mini games/HO's from the gameplay, but there is so much other stuff in the bonus content I don't think you'll miss it. Once you have completed all these bonus mini games, you open up the hidden chapters These consist of revisiting 3 of the characters from the main story and completing a task for each one. None are very long, but it's a nice addition that extends your gameplay just a little bit longer. I felt like I really got my money's worth from the CE. Definitely would recommend, especially for beginner and intermediate players. More experienced players might find it boring if you're preference is more challenge, but even so I'd recommend at least doing the demo and see what you think. The developers on this one did a great job with graphics and story and gave you plenty of extra goodies to boot! Rated 5 out of 5 by KaitlandRose from Very fun and enthralling game! This is the second game is the series, and i enjoyed it even better than the first! Fun games, good effects, and an interesting story with plot twists you don't see coming! Would definitely recommend this. Now- onto the next game! Rated 5 out of 5 by Sck11cak from ANOTHER GREAT MAD HEAD GAME I HAVE NE IDEA WHY ANYONE WOULD NOT GIVE THKIS GAME A FIVE STAR RATING. 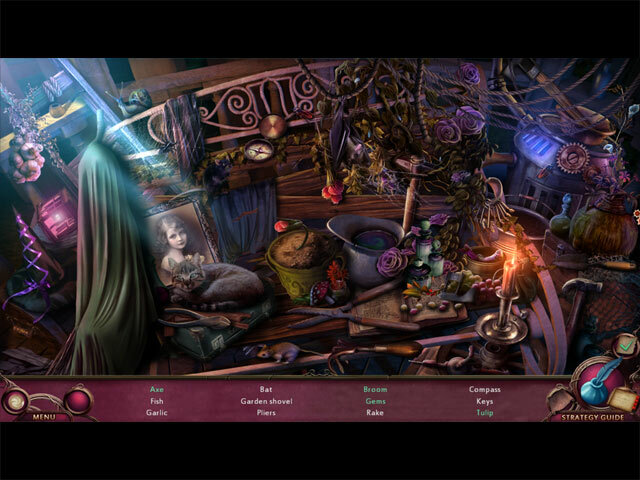 I HAVE PLAYED TONS OF HIDDEN OBJECT ADVENTURE GAMES AND I HAVE NEVER BEEN DISAPPOINTED BY ANY MAD HEAD GAMES. EVERY GAME IVE PLAYED BY THEM HAS BEEN SO UNIQUE AND FUN. IM NOT GOING TO GIVE YOU A BORING DETAIL OF THIS GAME BUT BELIEVE ME,AND IM AN EXPERT, THIS GAME IS ANOTHER TOP GAME. THE STORY LINE IS DIFFERENT AND I LOVED ENTERING DIFFERNT BOOKS TRAVELING TO DIFFERNT SCENES. ANYONE WHO GIVES THIS GAME A BAD REVIEW NEEDS TO GO TO A DIFFERNT TYPE OF GAME. BORING?????? NOT AT ALL!!!!! I DONT GET THEIR COMMENTS. SOME PEOPLE JUST HAVE TO COMPLAIN. SPEAKING OF THAT, I DO HAVE ONLY ONE UNSIGNIFICANT ONE, THE MOTHERS VOICE OVER ISNT THE BEST.OTHER THAN THIS, BUY THE GAME YOU WILL LOVE IT. Rated 5 out of 5 by tutortime from Great game. Good story line and graphics. Mini games were not the typical ones for these games. Made the game more enjoyable. Rated 5 out of 5 by yesivesaidso from Love this game!! I love this game!!! I always buy the CE with their games! There are so many extras! Few HOS compared to adventure. Rated 5 out of 5 by oliviachubey from Captivating! Very interesting plot that explores the world of well known fairy tales and novels. Great twist in the end. Stunning graphics. Mini games could be more challenging as they were fairly easy. HOGs had variety to them, not just point and click but quite interactive. Perfect game for the weekend! Rated 5 out of 5 by Celestien from Fantastic and refreshing I really liked this game. First, the storyline is done very well. You have to revisit earlier worlds (from the last Nevertales Game) but still these worlds are somewhat different. The twists in the end are surprising enough, too. The graphics are amazing. Yes, it takes a while to load sometimes, but it is worth it, I think. Some scenes were not only breathtaking but also really exciting. The extras in this CE are - and this is about the first time you'll hear me say it - worth it, too. The bonus game is OK, not too exciting though. Having to fight a final battle by memory games is not my idea of a grand finale. 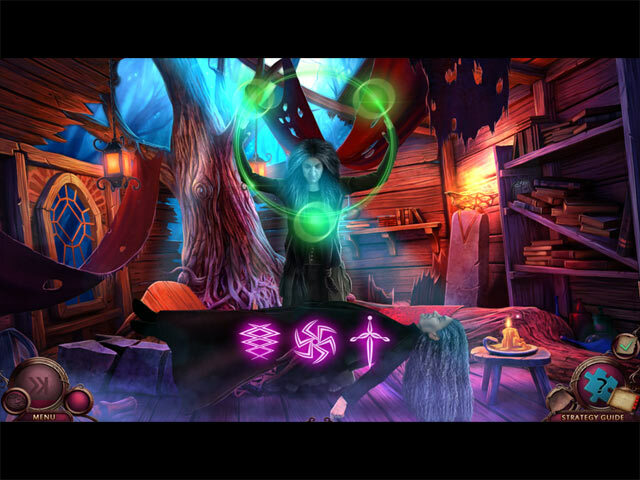 But in this CE version, in the regular game you can find pieces of a puzzle in every scene. If you did not find them all, you can still do so in an extra game - just revisit those scenes and find them, and combine these pieces into something new. There are also morphing objects to find (which is not my strongest part) and hidden treasures. Same as with the puzzle pieces - you can find the missing ones afterwards and earn the hidden (extra) scenes to play. All of this kept me from immediately deleting the game after completing it. Wonderful game, Much love in the making. Rated 5 out of 5 by ppasolvr from Possibly the best game ever! First of all, I love this developer because they let you go back and get the collectables that you missed. Just saying. Of the hundreds of Hidden Object games I've gotten from Big Fish, except for the Farmingtales genre-type, this one is the best HOPA ever! I thought the storyline was downright good, although that is not one of my "must haves," as I'm not so into storylines as I am into gameplay. As to gameplay, I would not ever consider myself an expert, and I always play in "casual" mode, I'm pretty easy to please. I will leave all the pros and cons points up to the Seasoned reviewers, whom I really admire and depend upon before I even download a game. But I must say, I don't remember when I've had so much fun! The nuances are just delightful... Midas's comments, and that adorable Fairy Godmother! Loved it! Those are the little bitty extras are what make a game for me! Of course, the morphing objects and the collectable puzzle pieces are both the "must buy" objects for me. I have very very rarely reviewed a game, but I had to for this one. I believe this may be my all-time favorite HOPA, as I can't remember another one that I have enjoyed so much! It is right now the very wee hours of the morning and it's way past my bedtime, but I can't seem to stop playing! I'm probably not even half way done with the game, and I can't wait to play on. I really hope I go to bed now and not hit the "Play Again" button, because I'm a VERY mature adult and I have horse poo to pick up in the morning. Or maybe it can just wait til tomorrow! LOL! Rated 5 out of 5 by cindee7 from Nevertales: Shattered Image Collector's Edition What an awesome game. Play time was very long like a collectors edition should be. Extended play time with Bonus AND extra chapters! The puzzles where challenging but not impossible. The directions were clear and concise. Worth every cent. Lately the new games have been boring, directions fuzzy, storylines terrible. This game though was just fun and challenging throughout. We need more like it! Definitely recommend. You won't want to miss this one. There was even time management within the puzzles at times. Just very different. Rated 5 out of 5 by MariaMaia from A Great Tale (Review is based on the demo) I heard about Nevertales series from a friend who is an avid Mad Head Games fan, so I decided to try it out, having in mind that I generally love these kinds of theme (worlds where magic and reality somehow interlock). As soon as I started to play the demo, I realised that this game will be a ride from the first moment when its needed to enter into the Alice’s room. From there on, the demo hour was extremely interesting. 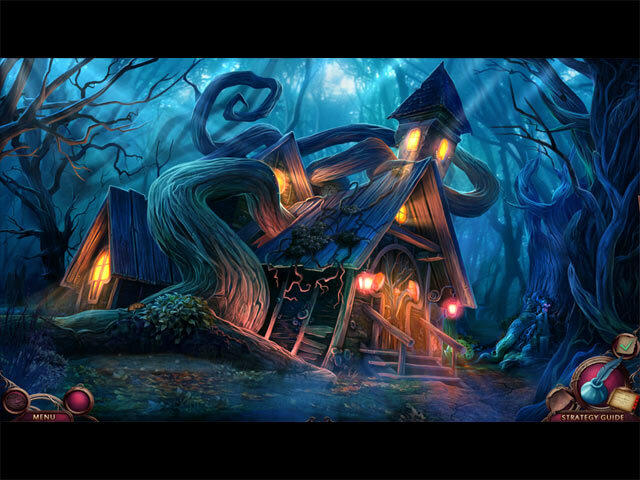 I played it on the easiest level (casual reader), and it proved a bit of challenge for a novice adventure game player, but one I really enjoyed, mostly in the fantastic hidden objects areas. The one in the well near the end of the demo hour was something that really captivated my imagination with its beauty, so I understand why my friend likes this development studio so much. The story of the game is minimal (I confess that I haven’t played the previous part of the series), but its suitable, because we only need to get to Alice one step at the time. It didn’t try to recap what happened in the first game, so I’m happy that I’ll get the chance to learn everything about this world, Belle, Pierre and Alice gradually (at least I hope I do). Also, the end of the demo hour promised a lot more things to explore (a completely different book world) so I feel like I’m definitely putting this game on my wish list.